fromReuters: Whether it be Lois Lerner, James Clapper, Eric Holder, James Comey, Peter Strzok, the local cop or the TSA screener, we are reminded daily: government is NOT accountable to us. fromCreators: Trump has given us a nominee to the highest court in the land who typifies the culture he railed against when he claimed he'd drain the swamp. fromBabylonBee: Elderly hack decides to stay stupid despite outpouring of assistance. fromLibertyPen/YouTube: Economist Thomas Sowell explains what happens to intentions on the road toward results. fromWired: Cody Wilson makes digital files that let anyone 3-D print untraceable guns. The government tried to stop him. He sued—and won. fromWattsUpWithThat: Coral atolls getting larger, not sinking according to new study using satellite data. in order to be pregnant. from Reason: And seven retirees in Los Angeles pulled down more than $1 million each in retirement benefits last year. "Public service" has its privileges. from WattsUpWithThat? : While practitioners of environmental religion fret about one-tenth of one degree, India has real concerns: food and water. from GatestoneInstitute: Gone is all pretense that journalism is about reporting the facts. from Reason: Two senators fight back against the surveillance society and the police state to protect individual from their government. from Rutherford Institute: Sometimes it’s dangerous enough calling the cops when you’re not contending with a disability. Unfortunately, the risks just skyrocket when a disability is involved. from ReasonTV: The national debt just skipped past $20 trillion, which puts America's indebtedness at "unfathomably staggering." (And the chunk you owe personally at "a lot.") The math is so complex that Reason TV decided to lean on "Cosmos" to explain it. 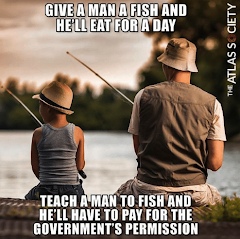 from Mises Institute: This is one path for the future of freedom. State nullification is the remedy for federal overreach and tyrannical anti-liberty regs. from Consortiumnews: "For those of us who have taught journalism or worked as editors, a sign that an article is the product of sloppy or dishonest journalism is that a key point will be declared as flat fact when it is unproven or a point in serious dispute – and it then becomes the foundation for other claims, building a story like a high-rise constructed on sand." from Mises Institute: Environmental fanatics continue to grow more radical and intolerant. The movement seems to be dropping the guise of science, developing into a full-fledged religion. from The Intercept: Could pass the Senate on anti-Sessions, anti-Trump sentiment, but if Trump is the tyrannical authoritarian some suspect, he will veto it. from Reason: A new database tries to answer one of the most vexing questions in the national debate over policing. The truly amazing thing is this hasn't been done before. from Forbes: How crony capitalists used environmentalist propaganda to justify fattening their accounts with taxpayer dollars. from The Daily Bell: Compelling essay about how dependence on institutions is now out of control. A far more interesting piece than the title suggests. from The Hill: The intolerant left recognizes they cannot win the arena of ideas. Therefore, censorship. from The Hill: Jeff Sessions may be thwarted in this ratcheting of the police state. VIDEO: Is Climate Change Our Biggest Problem?